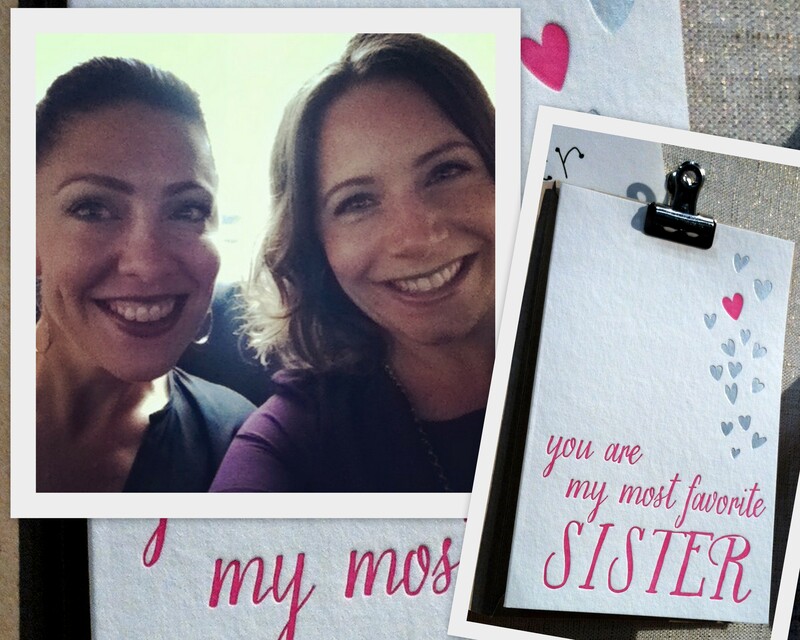 We’re the sisters behind Sweet Paper, Julie (on the left) and Theresa. A few years ago, we were two sisters living on opposite sides of the country, sharing a love of paper and a wish to own our own boutique. A lot of planning and one cross country move later- we made it happen. Now we are living the dream: working with brides, slinging paper wares, scouting new stationery designers and bringing joy to people daily via the handwritten note! Sweet Paper is the premier wedding invitation destination in San Diego County. We proudly work with some of Southern California’s best wedding planners and venues, as well as directly with brides to provide exceptional service and unparalleled save-the-dates, wedding invitations and day-of stationery. In addition to our wedding offerings, we have a plethora of personal stationery options, festive party invitations and party supplies. Sweet Paper is known for its in-depth knowledge of paper, printing styles and etiquette as well as for our superior customer service standards. Sweet Paper is proud to have been featured in C Weddings, San Diego Magazine, San Diego Home and Garden, Riviera, Exquisite Weddings, FINE Magazine, Stationery Trends Magazine and more. Julie is a speaker at Tradeshow Bootcamp, a community based organization offering educational workshops for stationery industry entrepreneurs. We work with The Children’s Initiative to put paper to good use and regularly support our local communities’ schools and charity organizations.